Sinclair Theatre will hold OPEN AUDITIONS for A Shayna Maidel on Tues., Nov. 19 beginning at 6 p.m. in the Black Box Theatre, Building 2, Room 411 on the downtown Dayton campus. 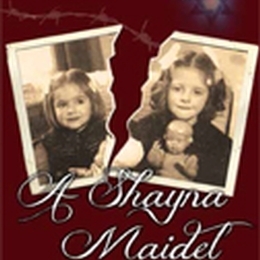 A Shayna Maidel, by Barbara Lebow, is the story of two sisters' perspectives of the Holocaust. One is a modern American who remembers very little of her childhood in Poland and the other, has survived unspeakable losses including a concentration camp. Worlds collide as one sister gradually shares the losses that have scarred her and the other learns her tragic family history. Open auditions means you do not have to be a Sinclair student or theatre major to audition as long as you are prepared with the following requirements and are willing to commit to a rigorous rehearsal schedule if cast. To audition, register online at www.sinclair.edu/theatreauditions and memorize a 1-to-2 minute contemporary, dramatic monologue. Callbacks will be Nov. 20 with readings from the script.